NYCTA Contact Cleaner cleans oil and contaminants off a variety of industrial equipment including: solenoids; coil windings; metal parts; printed circuit boards; barcode instruments; switch boxes; gear boxes; and engines. Grease and oil are easily removed, reducing the time and materials needed to scrub off stubborn soils. 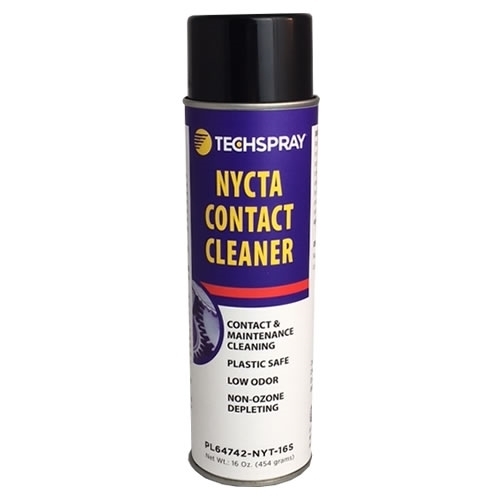 NYCTA Contact Cleaner is a non-chlorinated degreaser and electrical contact cleaner. 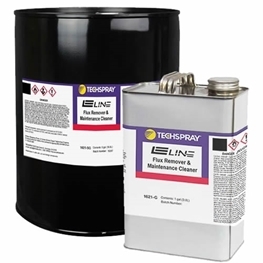 This product was originally formulated for the difficult cleaning applications found in the NYCTA, and is ideal for removing oils, greases and carbon residues from control panels, switch plates, enclosures, motors and other work surfaces. It exhibits slower evaporation which allows the solvent to soak in and break down difficult, hard to remove soils. 99¢ per can when you buy a case of 12 or more.